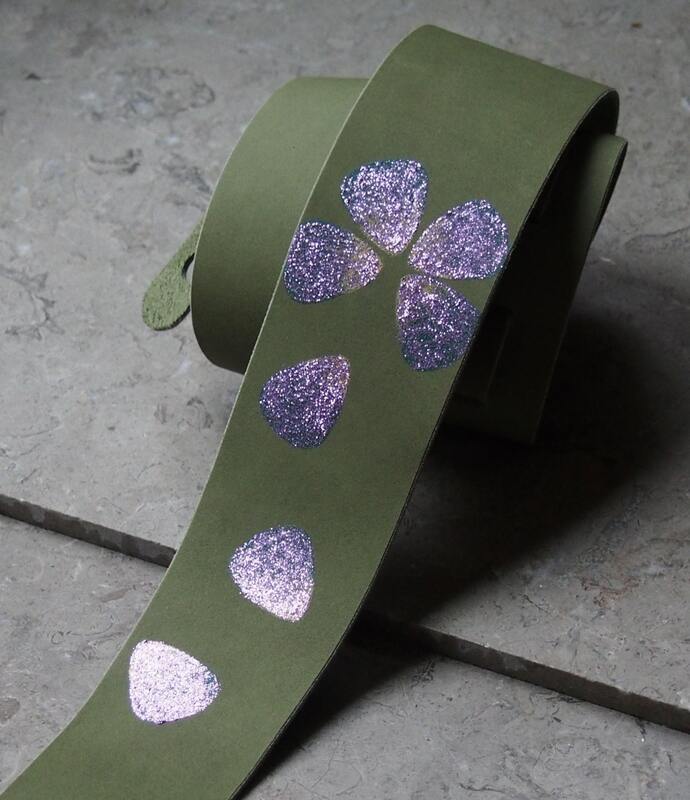 This guitar strap has my own "pick petal" flower w/ falling petals design hand silk screened in green ink onto the grass green leather strap, and then the petals are hand painted with a special type of gold paint and then all over with lavender glitter paint for leather--so it always stays flexible and will not feel brittle or flake off the strap. The various photos demonstrate the color layers and how the lighting alters the appearance of the petals. 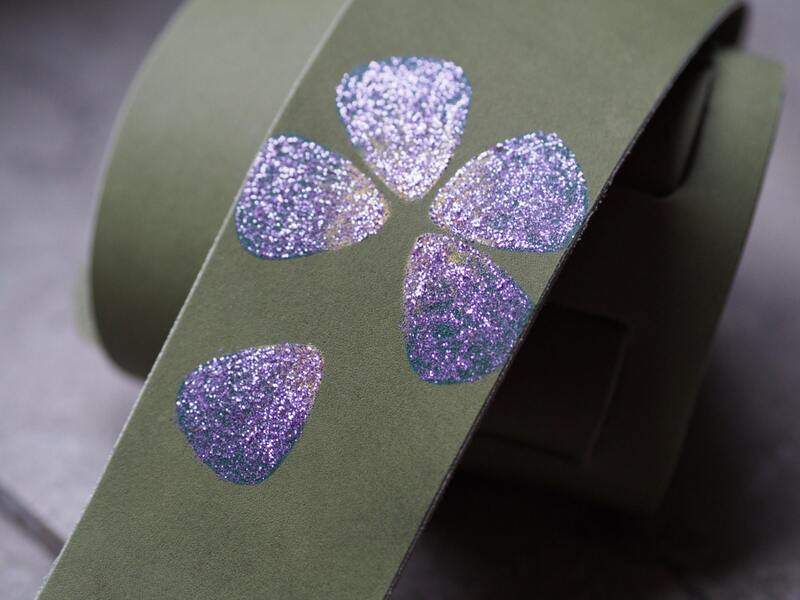 The main flower is near the shoulder, and the picks fall towards the front tab--or down the back, pending how you prefer to wear your strap. The leather is hand cut 2 1/2" wide and tapers slightly at either end, and since I had limited amount of this color, the main section is only 36" long (usually I cut these about 42" long). 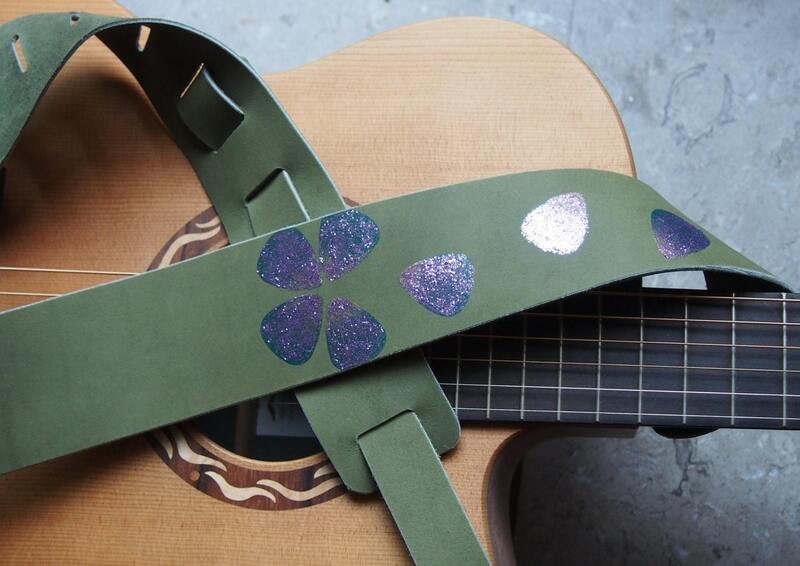 Twelve adjustment slots are cut about every 1", and an adjustment strap loops through the laced to provide the desired length and fixes to the back pin on the guitar. Maximum length as shown is 48" between peg holes. 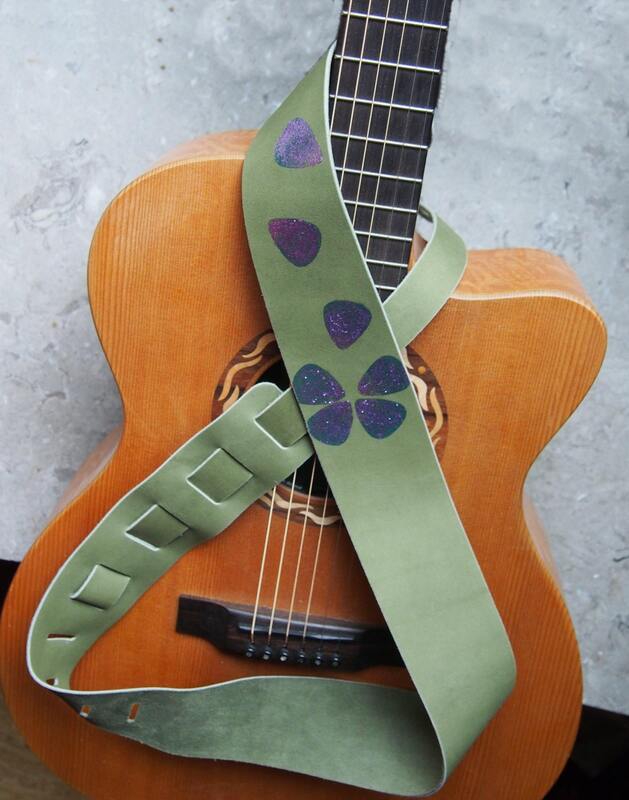 This design means the strap is only leather, and there is no metal or plastic hardware that could touch you while playing, or your knock into you instrument while it's in its case or stand. 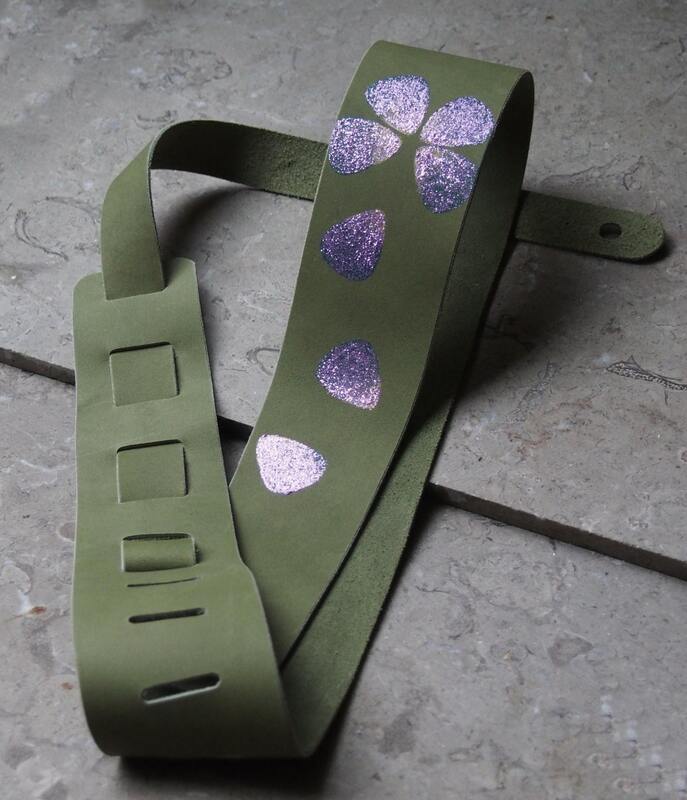 Please note: I can always use another leather to make the narrower adjustment strap if you are not a petite person, and need a longer length using this green main strap. I can also provide leather "laces" if you prefer to tie the strap to the neck of the guitar, rather than using a front peg.